So, if you wonder if YOU broke any of these 13 rules, or how you can write an original dialogue, check this series of articles. It's practical and full of movie scripts and video examples. We asked our dialogue expert, David, aka Blablator, to lead us through the 13 movie dialogue rules. If you missed the first six parts of this series, you may want to check them out first. Here is the link to Part 1, where it all started. Blablator, I heard you talking about movie dialogue techniques in screenwriting. What are they? Like basketball has its assist, dunk, block, rebound, jump shot etc, dialogue has its own terms to describe specific techniques of using words to reach a certain result. By the way, we use some of these movie dialogue techniques already in our daily life - but we don't know they are techniques. For example, when you don't want to give a straight answer to a question and beat around the bush. This is called "avoidance". 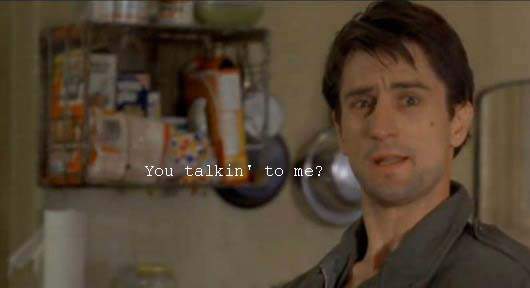 When Travis Bickle in the screenplay "Taxi Driver" keeps saying "you talkin' to me" to make a point, this is called "repetition". What difference does it make to know these dialogue techniques? Each technique has a different purpose and accomplishes a different result. Once you know these techniques, understand in which context they are used and practice them, you have the ability to apply them skillfully and spice up your dialogue. It's no more a random action. You use them deliberately with the intention to fulfill any of the 5 functions of movie dialogue. There is real power in that. This is an example from Basic Instinct written by Joe Eszterhas. INT. HIS APARTMENT - NIGHT            He sits in front of the TV, watching a lame sitcom. A bottle            of Jack Daniels is half-empty in front of him. He is smoking            a cigarette. BETH                                (behind him)                         I still have my key. He looks at her, looks away at the sitcom. NICK                         I don't want to see you, Beth. He keeps watching the sitcom. A long beat. BETH                                (suddenly angry)                         Damnit! Don't shut me out! You                          owe me more than that? He goes to the TV, shuts it off. NICK                         I don't owe you anything; you don't                          owe me anything. (he looks at her)                         We went to bed -- what was it? --                         ten or fifteen times? (he smiles)                         It wasn't memorable enough to carry                          any obligations. BETH                                (after a long beat)                         Sometimes I really hate you. NICK                                (smiles)                         Yeah? Well why don't you find                          some friendly therapist and work                          some of that hostility out. (a beat)                         But take my advice. Put a little                          more life into it than you usually                          do. Is there any drawback to knowing these dialogue techniques? As a matter of fact, yes. Once you know these techniques, you will "see" them everywhere - for example in your conversations with other people and in the screenplays you read. This means also that you will never be able to "just" watch a movie without hearing the characters using these techniques and saying to yourself: "setup and payoff" or "trigger" or "put down". How many movie dialogue techniques are there? Some say about 50, others 100. But in reality there are about 20-25 that are used most of the time. 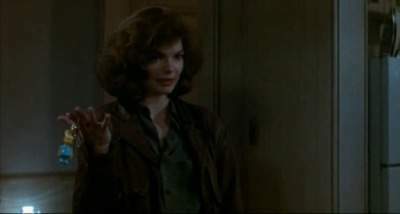 The rest is either rarely used (like "breaking the fourth wall", when a character speaks to the audience - like Alvy Singer does in Annie Hall), or is just a nuance of an already existing movie dialogue technique. What are some of the most used techniques? I'll mention a few so that you get a sense of what I'm talking about. The links refer to interviews I had the privilege of having with actual characters of screenplay who use such a technique frequently. What do you say to the people who say that these techniques are actually nothing else than a formula and they limit your creativity? They miss the point. These techniques are a powerful tool. When and how you use these techniques is entirely yours and that will vary from one screenwriter to another. The same in basketball with assist, block and rebound. Any last word on these techniques? If you like screenplay games, and Memory in particular, you can play it on this site with the movie dialogue techniques mentioned above. We have now reached the last rule. How important is it? Very. You need to test drive the dialogue rules you implement. This happens with rule number 13. Dialogue has a sound. It either goes "click" or "clunk". Aaron Sorkin, a master in the domain of dialogues, shared in various interviews that he was 9 when he saw with his parents the play "Who's afraid of Virgina Wolf". He did not understand much of the story, but he loved the sound of dialogue. It sounded like music to him. And he wanted to be able to imitate that sound. The rest is history. In Dudetown you may meet the Greek hero Odysseus written by Homere. On his journey home, after the fall of Troy, he approached the island of the Sirens with his ship. He knew that the sound of their songs - read in our case dialogues - would be so seductive that he would want to leave the ship. And yet he wanted to listen to their music. So he had his men put beeswax in their ears so that they would keep rowing. And he had them tie him up to the mast so that he could listen to their melody while resisting the temptation. 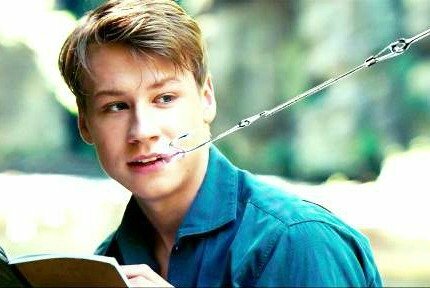 When you come from there, you understand why on the nose dialogue will not cut it and why you need to practice these 13 movie dialogue rules. Well, to some extent dialogue is music and has a rythm. When people get angry they have a tendency to speak "allegrissimo" (i.e. very fast). Their voice gets sometimes even higher. When people express love, it is an adagio going on (i.e. slow and at ease) - they speak more softly, gently. And when they don't get what they want, either they get still or they fight - it's then like a cymbal resounding - BAM! Similarly when a screenwriter writes some dialogue that does not fit the character's world and views (see rule # 7) it suddenly sounds like a false note. Any example of movie dialogue that sounds like music? These are so many examples to choose from. I'll give you 5 examples of very different musics, different rythms, intonations and intentions. 1. 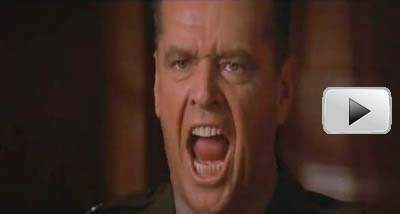 A Few Good Men - written by Aaron Sorkin - "You cannot handle the truth"
2. 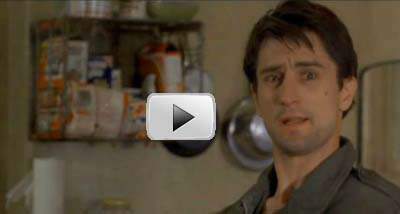 Taxi driver - screenplay written by Paul Schrader - "You talkin' to me?" 4. Donny Brasco - screenplay written by Paul Attanasio - "Fuhgeddaboudit"
Which practices can you recommend to test the sound of dialogue? First, always read out loud your dialogues. They sound different from when you just read them in your head. An alternative is to have people read your dialogues. Or to tape and play them. Either way, you get to identify sentences that do not flow, words that don't work together. You get also present to whether the dialogue gives rise to a world or not. And whether there is a certain rythm to it or if it's flat. Even if you're satisfied now, read it again a few times later on. Does it still sound great? is it still in line with the character's views of life? Could you cut part of it to make it even more efficient? Listen to their distinctive voice, how they express themselves, the flow of their words and how it changes depending on the emotions they experience. It's an incredible source of learning. To conclude this series of articles on 13 movie dialogue rules to write great dialogues, any last piece of advice? Read as many screenplays you can from the masters, and study how they apply these 13 movie dialogue rules. There's a great selection on this site of free movie scripts that got awards. Make sure you go through the 21 tips to max out your reading of a screenplay. Watch as many movies you can from different genres (drama, comedy, thriller, etc) and see how these 13 rules get applied. Even "mediocre" movies will teach you something. Liked this article? Then, don't plead the 5th! If you missed the beginning of this series of articles, you will below the first three rules. The Latest Screenwriting News and Movie Trailers. Don't Miss them! Game on with Memory Screenwriters!